Dr Stephen Franks asked me to create a new website with an emphasis on the design, keeping it ‘clean’ and ‘uncluttered’. I used colours which reflect the logo and dentistry field. 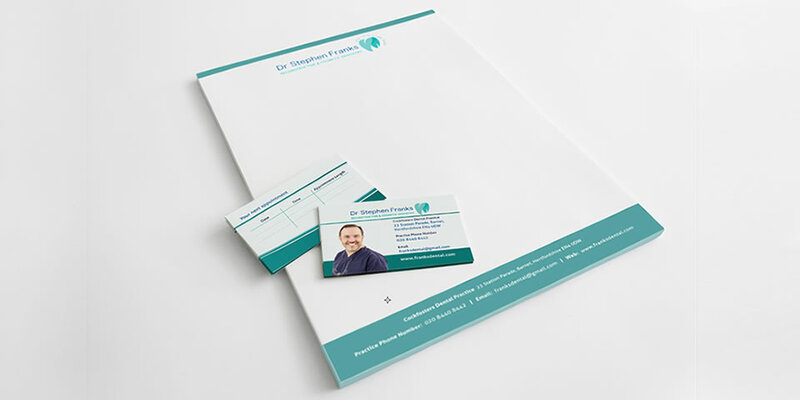 Complementary business cards and letterhead were also designed making a fully-consistent new image for both print and web. I also created a flash banner ad for online advertising.